This addon tracks your sloted actions that have duration attributes or over time effects, reminds you to re-invoke your actions, and makes you good at performing rotations. Override action duration with target debuff effect, e.g. change Beast Trap's 60s timeout to 6s timeout after triggered. - Added an option to switch auto-move-attribute-bar feature. - Added an editbox option to configure popup alert key words. - Fixed a bug that the option of "Account Wide Configuration" doesn't work. - Improved the effect matching using icon i.e. action Dark Conversion will emit a Dark Deal effect which should be linked. - Optimized the effect matching for actions with cast time property such as Channeled Acceleration. - Fixed a bug that track is lost on repeated actions. - Ignored a buggy and redundant effect event emit from Liquid Lightning which is 11 seconds long and fades when it has 1 seconds left. - Ignored long term effect events that is more than 100 seconds. i.e. Guard has a 21600 seconds effect and will be ignored in this version. - Fixed a bug that action failed to use strict policy(introduced in v3.0.13) to match a new effect if this action just lost all effects i.e. Minor Protection timer after Dark Cloak should be ignored after this fix. - Updated german localization translated by Scootworks. - Added some localizations that is translated by google. Hope you can help me correct them. - Ignored buggy event time info from a special Major Expedtion effect(ID:37915) triggered by Crippling Grasp and Refreshing Path that is being updated to 8s every second until any of them finished. - Added 2 options to switch and adjust timer to ignore decimal part. - Allowed actions just ended by removing all effect to get an opptunity to match another immediatly coming effect event i.e. Haunting Curse has two periods of effect. - Fixed the search order for effect fading event which caused new action timer end suddenly. - Improved Crystal Fragment slot search that all levels can be found now. - Fixed a bug that updating effect event cannot match repeatedly casted actions. i.e. A bug that Maneuver counter is not reset by another cast before the old one fades is fixed. - Improved ability attribute process to avoid self abilities from being disturbed by reticle target. i.e. A bug that Twisting Path counter is removed when target changed is fixed. - Stricted effect action matching if effect didn't started at action begining i.e. Beast Trap effect caused by Beast Trap action will be counted but Off Banlance effect caused by Wall Of Storm will not be counted(known as a bug that Unstable Wall Of Element randomly reset to 4s). - Matched taunt effect to tank role actions again after v3.x.x. - Ignored buff event that follows action main duration end i.e. Dark Cloak has a minor protections effects after it runs out. - Impoved the stacking effect process policy introduced in v3.0.10. Then Relentless Focus counter will not be reset again after a spectral bow. - Ignored game buggy stacking effect time info to update time counter i.e. Relentless Focus counter was reset every time when stack count updated, but the time info of the event is actually wrong. - Fixed a bug that action counters don't show up if "Seconds to keep timer after time out" set to 0. - Fixed a minor bug that produces error logs. 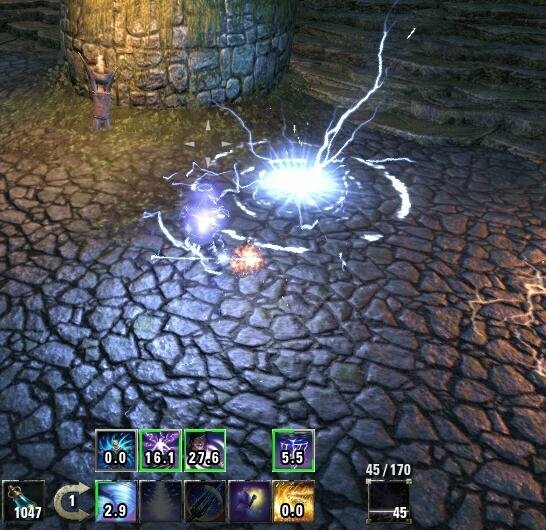 - Fixed a bug that slot ability given by quest will match all new effect e.g. Hist Dart in Ruin Of Mazzatun matched all your restored long buffs when you destroyed the real one. - Improved timer hiding for Crystal Fragment which should be wiped after cast. - Fixed a bug that new timer didn't show up if weapon swapped immediately. - Fixed a bug that some timer disappear when player in a group. - Fixed Crystal Fragment Proc detection. - Fixed bugs that mismatched effects with actions. - Improved label format for time longer than 10 seconds. - Refactored code structure again and got many known bugs fixed automatically. - Linked taunt effects with concurrent tank-role actions such as "Inner Fire". 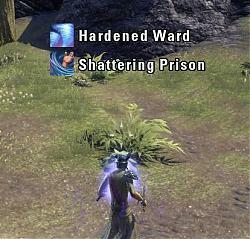 - Fixed an eso effect change bug that reset Crippling Grasp's duration to end immediately after cast. - Added an option to switch account/character settings. - Refactored code structure and fixed some bugs. - Supported "Rendering Slash" for French/German language. - Supported ultimate action duration such as "War Horn". - Fixed a precedence issue, e.g. the dragonknight volatile armor should show 20s buff time, not 10s DOT time. - Readjust default auto reposition margins for "Wykkyds Enhanced HUD". - Improved effect recognition of bold escape fatigue for its morphs. - Fixed a weapon pair recognition bug. - Fixed a format bug of alert name. - Fixed a bleeding DOT effect recognition bug. - Added a 'Multiple Target Tracking' option, default is on. - Added player effect tracking e.g. the 4s 'Bolt Escape' fatigue time. If both player and target effects take place by same action, it will show player effect over target effect, e.g. 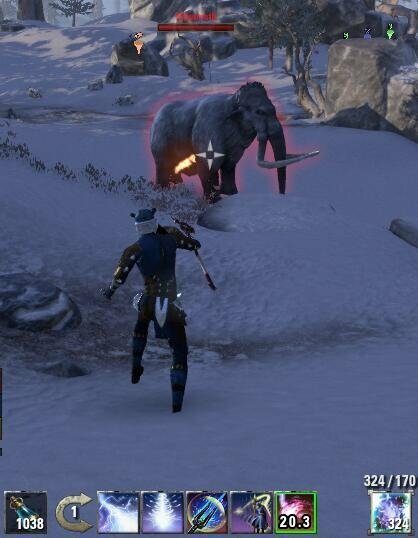 the 20s Brutality buff from dual wield skill 'Hidden Blade' will override the 6s target movement debuff. - Added an option button to place the alert frame. - Fixed the gender specific screen string for french and german clients. - Added an alert sound select option. - Added an option to exclude short duration. - Avoided alerts when debuffs fade because target die. - Fixed an issue that action bar flip animation is gone after applying time out lines. - Fixed an issue that resource bars are mis-repositioned when they are below the action bar. - Impoved options of alert including text and sound. - Impoved the DOT effect recognition such as Twin Slashes Bleeding effect. - Added options to play sound before timeout. - Added an option to show timeout announce, off by default. - Added support for actions with both duration attribute and target debuff effect, e.g. change Beast Trap's 60s timeout to 6s timeout after triggered. - Added support for showing third ability bar such as overload bar action timer hints. - Added support for stackable effect counting such as light/heavy attacks with nightblade's Grim Focus and its morphs. - Added a button in settings menu to show the shift bar that can be moved around. - Added an option to disable shift action bar and an option to adjust cooldown line thickness. - Added support for target and target effect change. - Added conflict detection of all player resource bars and move them upward automatically. - Changed health bar patch that auto move it vertically according to option "Position Gap". - Fixed an issue that action icon stays lit while character is out of mag/stam. - Added some line options and a font name option. - Fixed a bug of starting to count down a ground ability that just canceled by invoking another ability before placement. - Added a position patch for addon "Wykkyds Enhanced HUD" to avoid overlap, options added. - Added option setting "Cooldown Color". - Removed tracking of "Crystal Fragment Proc“. - Added option settings "Label Font Size" and "Label Vertical Offset". - Added tracking of effects over time as action duration. - Fixed some ui error bugs. Any chance you could add add Dark UI compatibility? I have since a longer time the problem that I can't see the seconds on the active bar. when I activate a skill..only when I switch to the other one then I see the seconds...! So if I will activate for example "arrow baridge"..I can't see seconds anyway...when I switch to my second set/bar I will see the seconds running down...??! What is the problem? is there the option to add a timer for for the ability subterran assault? It does need 3 seconds to go off so it would be great to see a timer. With BanditUI it automatically uses a timer and but I just want to use adr. There is an option to filter short duration actions. You can decrease the value to make short duration actions visible. Thanks for all the work you do on this! Sure it is an ADR bug. I will look into it. edit: OH... It seems to be a conflict. can you give me a list of your addons? I *think* (not totally sure) it may have been Azurah causing the conflict. I have ESO on two PCs (one of which did not have the problem), so copied the Addon and Save variable folders and files from the working PC to the one with the errors. After this both worked fine without the errors above. Rechecking Minion the only Addon saying it needed updating (I didn't let it) was Azurah; as of this morning the list is now Azurah, Srendar and Awesome Guild Store. Hope this helps - the work-around seems to be fine for now. I can make this addon better if i can continue to learn from other addons especially yours. I have been using this on my MagDK for a little while now and for some reason when going through my rotation My CD for burning embers will randomly add time to itself about 3 secs before it runs out... I watch the debuff on the target and it runs out correctly but the timer on my bar will still show an additional 7-8 seconds. Not sure why. Its possible it has something to do with BSW procing but I will have to test that. Edit: After testing I have found that the burning status effect is affecting the timer for burning embers. I have found that increasing ignorable timers to 4 seconds (burning status length) can quick fix it. Hope that helps if its worth fixing. ADR has a feature to collect additional relevant effect durations such as Beast Trap, Daedric Curse, etc. I will make this feature more accurate. Last edited by cloudor : 03/08/19 at 09:21 AM. could you make second panel of skills hang right above first panel. without manual movement? would like to see unification of your "Action Duration Reminder" together with "DarkUI" for https://ibb.co/1rrKF2S so the framework with the first ability panel are on second panel? I will fix the default position. Last edited by Austinseph1 : 03/06/19 at 11:51 PM. Last edited by GJSmoker : 03/03/19 at 10:50 AM. Can we get a toggle for this? Some buffs like the nightblades siphons or sorcs shields trigger the popup alerts. This clutters up the system and makes it harder to spot the effects you wanna look out for. Could you add a blacklist setting for the popups to block certain skills from triggering it? Edit: A blacklist option for the whole addon in general would be really handy too. There is a whitelist in new version now.